Multijurisdictional and multisector partnerships may apply for this grant program by August 23rd. This program will support metropolitan and multijurisdictional planning efforts that integrate elements in a manner that empowers jurisdictions to consider the interdependent challenges that communities currently face. For more information, visit here. Local governments may apply for this grant by September 22, 2010. The U.S. Environmental Protection Agency requests proposals for Black Carbon’s Role in Global to Local Scale Climate and Air Quality. This will support areas including, but not limited to, emission source research, the global- to local-scale emissions inventory, and co-pollutants. Up to 9 awards are anticipated. For more information, visit here. Refer to Sol# EPA-G2010-STAR-L1 and EPA-G2010-STAR-L2. Local governments may apply for this grant by September 30, 2010. The U.S. Department of Commerce’s Economic Development Administration (EDA) advances economic growth by assisting communities experiencing chronic high unemployment and low per capita income to create an environment that fosters innovation, promotes entrepreneurship, and attracts increased private capital investment. This funding will support projects that foster economic competitiveness while enhancing environmental quality. For more information, including types of program proposals accepted, visit here. City and public agency efforts, grants, donations from individuals, the Muir Heritage Land Trust, EBMUD, Caltrans and private foundations have all worked together to ensure that a 483-acre property near Hercules and the 702-acre Fernandez Ranch, are forever protected! Learn more here. Twenty-one Californian cities and towns have either passed local ordinances calling for the statewide ban on plastic bags or have officially endorsed AB 1998. Have you done anything yet? Join the rally at here. Solar Leaders in Contra Costa County – Let’s Keep it Going! The City of Richmond ranks number one among large northern Californian cities for installing the most watts per capita of new solar energy in 2009. Residents and businesses installed about 34.7 watts per capita last year. Lafayette took the third spot among small cities for the total number of systems installed. 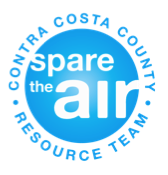 Contra Costa County was recognized with a second place award among counties for total watts installed! See all of the rankings here. Sonoma County Energy Independence Program Comes Back from the Brink! The Sonoma County Board of Supervisors decided to keep the Sonoma County Energy Independence (SCEIP) program open for business, despite pressure from the Federal Housing Finance Agency (FHFA). Taking bold action to ensure the survival of its local innovative energy efficiency program, the County of Sonoma filed suit in federal court on July 26th against Fannie Mae, Freddie Mac, and the FHFA. SCEIP is the nation’s largest property assessed clean energy program and, to date, has helped over 1,044 property owners fund energy and water efficiency improvements on their homes and businesses through property assessments. See the full press release. Proposition 23 is designed to suspend AB 32’s air pollution and health regulations until California’s economy gets better. The state’s unemployment rate would be required to drop to a fixed level before these regulations could be enforced. Would these added regulations actually create jobs for California’s residents? Learn more about Prop 23. The Metropolitan Transportation Commission approved a set of “Bay Area Principles for Establishing Regional Greenhouse Gas Reduction Targets” (Resolution 3970). The principles propose (among other things) per-capita greenhouse gas (GHG) reductions of 7% by 2020 and 15% by 2035. The approved principles are intended to inform the California Air Resources Board in its GHG target-setting deliberations between now and September 30, 2010, when it adopts statewide GHG targets as required by state law. Learn more here. In July, EPA’s WaterSense program launched the “We’re for Water” campaign as a national effort to educate consumers about water-saving behaviors and WaterSense labeled products. The campaign will highlight the daily impact that water use can have on energy, human health, and savings while also demonstrating how small actions can have a big impact. If one out of every 100 American homes were retrofitted with water-efficient fixtures, we could save about 100 million kWh of electricity per year, avoiding 80,000 tons of greenhouse gas emissions. That is equivalent to removing nearly 15,000 automobiles from the road for one year. For more information on the campaign, visit here. Learn more about the benefits of water efficiency here. Hans-Josef Fell, member of the German Parliament and internationally-recognized renewables expert, made a presention at a Climate Protection Campaign community gathering to a standing-room-only crowd. Mr. Fell described the power of implementing feed-in tariffs to cause a rapid switch to renewable energy sources. View his PowerPoint slides. Codding is an investment holding company with investments in commercial real estate, a commercial construction company, alternative energy, green building product companies, and a subsidiary that develops deeply sustainable mixed-use communities. One of its largest investments is the Sonoma Mountain Village, a 200 acre, mixed-use, solar powered, zero waste community internationally recognized as the first One Planet Community in North America and one of the World’s Greenest Neighborhoods. Learn more about the company and their economic investment strategies on their website. CALGREEN Initiative: Moving Forward or Backward? This discussion will bring together those interested in leading the industry in a more efficient and sustainable process for the design, construction and operation of higher education facilities. CALGREEN is the first statewide green building code ever adopted. It becomes effective January 1, 2011 in CA. Many provisions that were previously optional are now required. Some say it moves CA ahead while others say it moves agencies backward. Come for a discussion with other professionals and form your opinion. Learn more here. Join the USGBC-NCC Metro Area Programs Committee for a tour of the first project in CA to achieve the highly sought after LEED for Commercial Interiors Platinum certification, the Energy Foundation’s office at 301 Battery Street. Members of the project team will guide the tour and provide insight on the build-out and certification process. Learn more about the project and the event here. Sustainable Contra Costa invites you to the 2010 Sustainable Contra Costa Awards Gala! This year’s Gala will be held at Pleasant Hill Community Center on Wednesday, September 29th. This exciting event pays tribute to local individuals and organizations (business, government, schools, and non-profit) for their outstanding contributions to sustainability. Buy your tickets today. meet visionary thinkers at the drawing board for a cleaner, brighter future. There will be over 200 exhibits, over 125 speakers and lots of amazing opportunities! See highlights and register here. To register for any of these trainings or to see other upcoming ENERGY STAR trainings, visit their website. ENERGY STAR will host this webcast covering resources to help your organization purchase products with superior energy performance, guidelines that define energy performance for numerous products, sample procurement language, and software that calculates the life cycle costs of products. During this session, attendees will learn how to use EPA tools and resources to help meet requirements for green building rating systems such as the U.S. Green Building Council’s Leadership in Energy and Environmental Design (LEED), the Green Globes system, and others. This session will review EPA’s online energy management tool, Portfolio Manager, which allows you track the progress of energy efficiency efforts and compare the energy use of your buildings to peer buildings across the country. Attendees will learn how to measure and track energy use and carbon dioxide emission reductions to establish baseline energy use, prioritize investments, set goals, and track improvements over time. On Sunday, August 22 from 10 to 4 the Sonoma County Bicycle Coalition presents the first annual Northern California Bicycle Expo in Downtown Santa Rosa’s beautiful Juilliard Park. Learn more information and register for this event here.